Chardonnay is one of the most widely planted white varietals in the world, second only to Airen (Spain). 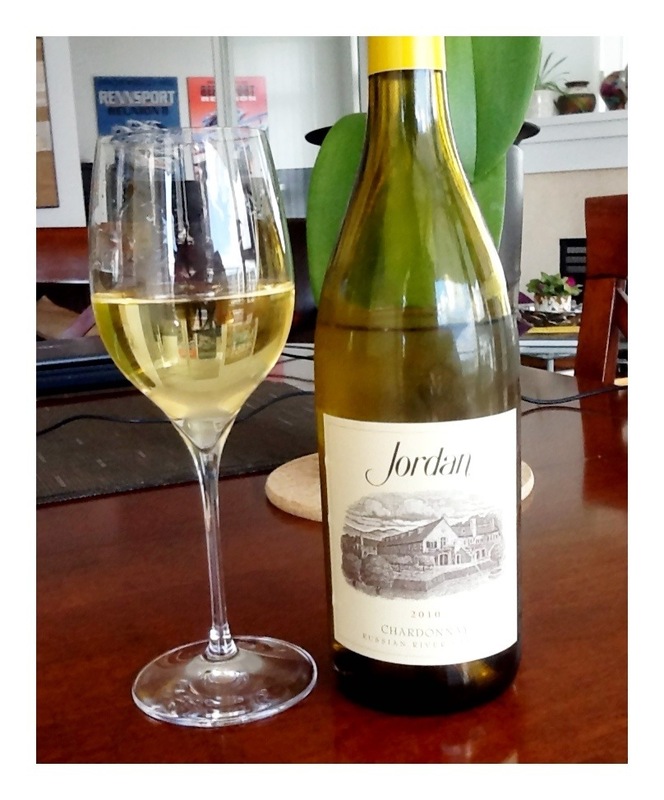 This is a particularly elegant and crisp version from Jordan’s Russian River Valley vineyard. The Russian River Valley, located in Sonoma County, is renowned for its cooler weather which ensures the grapes do not over ripen and retain their high acidity. These characteristics are evident in this vintage of the Jordan chardonnay. The wine is clear and bright, deep lemon and has light and even legs noted. On the nose, it’s youthful, full of medium (+) steely minerality, Granny Smith apple, Bergamot lime, lemon rind, guava and a little passion fruit. On the palate, the wine is dry with juicy and refreshing medium (+) acidity and medium (+) alcohol. The body is medium and the medium (+) taste profile includes pink grapefruit, more lime and lemon, green apple, more tropical fruit (green pineapple and green mango) and a hint of vanilla pod from the light oak. The finish is a lovely medium (+) and exudes a stony minerality. Elegant, bright, slender and classy – a WSET ‘very good’ wine from a favoured winery located near Healdsburg in Sonoma. The complexity of fruit is nicely balanced with the alcohol and deft oak treatment. Drink now or may age for 3-5. This entry was posted in California, Chardonnay, WHITE. Bookmark the permalink.